Both Arbonne and Isagenix are highly successful multi-level marketing enterprises that offer products that are aimed at optimizing health and wellness. One thing these brands have most in common is that they each have their own version of weight management drinks and protein powders. Because they cater to such a similar audience, I thought it would be helpful to compare these companies and find out which one offers real solutions for those who want to lose weight or build muscle. So I decided to check out Isalean and Isapro from Isagenix, and compare them to Arbonne Evolution and Arbonne Essentials Protein. In the weight management arena, it was clear that Isalean from Isagenix was the top performer. The formulation is a whole lot better at keeping hunger at bay. It does this by providing you just enough macros to keep you feeling full for longer. When it comes to the protein powders though, it seems Arbonne is the better choice. This all-organic plant-based powder offers slightly more protein content which it combines with an efficient macronutrient blend to help you make the most of the time you spend working out. If you’re looking for the details on all these different products, you know I’ve got your back. Keep on reading to learn more about these weight management drinks and protein powders to help you determine which one really is the right choice for your wellness. I thought it would be fitting to kick off this review with the protein powders offered by either brand. So in one corner, we’ve got Isapro from Isagenix, and in the other, there’s Arbonne’s Essential Protein Powder. There’s a world’s worth of difference between these two products – from ingredients to nutritional profile. However, while I did say that Arbonne’s formula came out on top, I do want to point out that Isapro isn’t a bad choice on its own. It can be a better choice especially if you’re out in search of a specific type of protein. The reason why I think Isapro might still make a decent choice for some buyers despite its marginally lower protein content is the fact that between these two products, it uses animal protein as opposed to Arbonne’s purely plant-based formulation. Isapro contains 18 grams of protein per serving. This comes from whey protein concentrate – the sole protein source in the entire formulation. Concentrate, while not as readily metabolized as isolate, is a pretty solid source. In fact, whey protein concentrate is so effective that majority of powders include this as one of their main ingredients. Personally, I think this is what gives Isapro an edge despite having slightly lower protein content. The fact is, animal protein contains much more amino acids compared to plant-based proteins. So while you are getting a marginally lower protein value, you have a better chance of making the most of each gram because it already comes with the BCAAs you need to process them. If we’re strictly talking protein content though, Arbonne’s Essential Protein Powder comes out as the clear winner. With an extra 2 grams of protein totaling 20 grams per serving, this plant-based powder is definitely beefier than Isagenix’s. My only issue with the formulation is that it uses purely plant-based sources, which could take a toll on amino acid content. Even then, users can simply take supplemental amino acids to go with the powder. Some other reasons that put the protein powder from Arbonne slightly ahead include its greater carbohydrate, sugar, and fiber content. Basically, these macronutrients prevent you from burning up the protein for non-essential functions. So when your body has warmed up enough to start using that protein for muscle gain, it has more to work with. The thing about Arbonne that really won me over is its micronutrient profile. Taking a glance at its nutritional information sheet, it’s easy to see that this purely plant-based protein powder packs a major punch in the micronutrient arena. When it all comes right down to it, the Essential Protein Powder from Arbonne works just as well as a protein powder as it does as a daily source of multivitamins. The formulation comes packed with minerals and nutrients that simply put the Isapro’s micronutrient content to shame. Compared to Arbonne’s robust mineral content, Isapro’s just seems lacking and uninspired. With nothing more to offer its users other than potassium and calcium, the formulation starts to look a whole lot less enticing than what Arbonne has to offer. With more protein, more vitamins and minerals, and more macronutrients in each serving, I have to declare the Arbonne Essential Protein Powder the better formulation in this category. The only thing Isapro really has going for it is its protein source, which comes hand in hand with a complete amino acid profile for better metabolism. But other than that, the formulation just lacks the right oomf to compete with Arbonne’s powder. 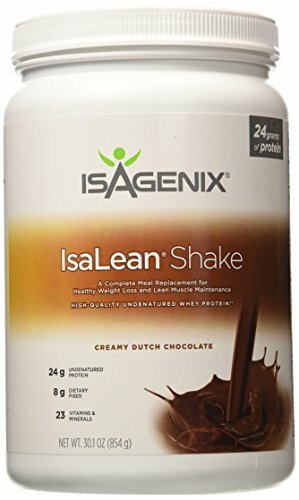 Moving into weight management territory, I have to shift my choice in favor of Isagenix’s Isalean Shake. I’ve already reviewed this formulation a few times, and it keeps coming out on top as the better choice no matter what I compare it to. What makes it so effective is that it doesn’t focus on calorie restriction which buyer’s commonly associate with effective weight loss solutions. So despite its pretty steep caloric value, it’s a much more reliable choice than Arbonne Evolution. 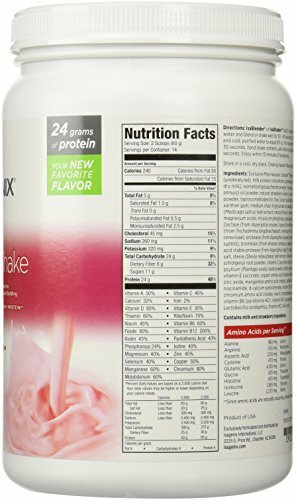 Each serving of the Isalean shake contains 240 calories which mostly come from protein, fiber, and complex carbohydrates. You might be thinking – that’s a lot to take in with just one serving of a shake. And I don’t blame you – it does tend to seem that way on the surface. But the reason why the formulation works so well despite its beefy calorie count is the fact that the ingredients it uses help curb hunger and keep cravings at bay. So for the cost of 240 calories, you can effectively stay full and prevent yourself from grabbing any other in-between snacks while you wait for your next meal. 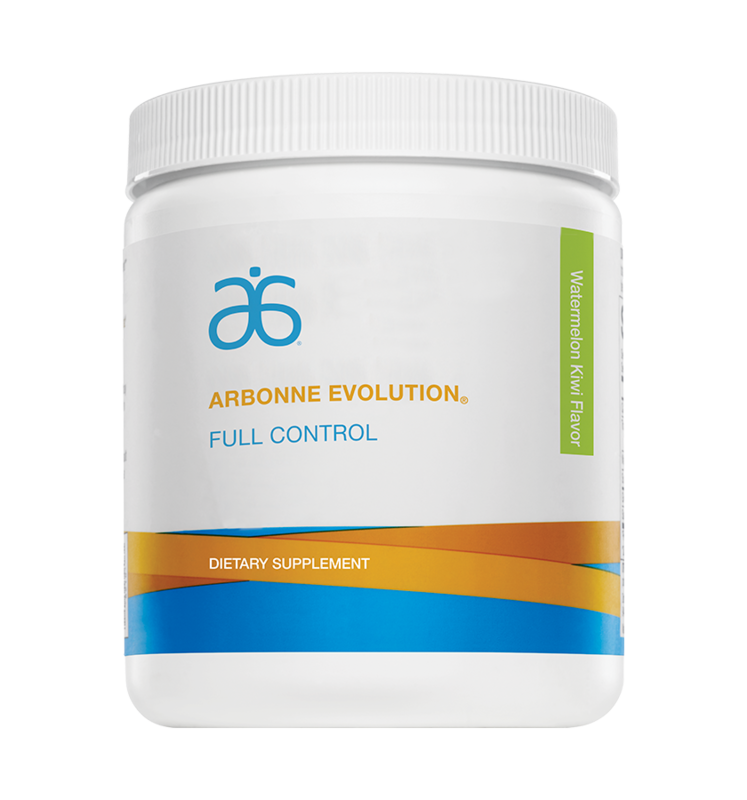 Arbonne Evolution on the other hand, contains just 5 calories per serving. On paper, that might make it seem like a pretty sweet deal if you’re trying to lose weight. After all, more calories means more fat, right? Wrong. The problem with Arbonne Evolution is that its blend of ingredients doesn’t really have any scientific proof to back up its efficacy. All the product offers its users are glucomannan root powder and saffron which have been suggested to help with metabolic rate and fat storage. Other than that, this formulation doesn’t have a lot to offer. So any sort of weight loss you achieve with it may or may not be a result of the formula at all. I also want to mention that unlike Isalean, Evolution can’t be used as a meal replacement shake. So even if the calories might seem to make the drink a reasonable choice, it’s equally important to consider what the formulation contains. This, in combination with the blend of ingredients will tell you whether or not it’s actually effective. A large chunk of weight management depends on how well you can curb hunger. Preventing yourself from taking a bite when it’s not necessary will help you reduce your calorie intake. This inturn will limit the amount of food your body will store as fat. The Isalean shake works to curb hunger by providing you the right macronutrients to keep you feeling full for longer. With a substantial protein, carbohydrate, and fiber content, Isalean can stay in your system for up to 4 hours. The Evolution drink from Arbonne works on a completely different angle. The product’s main ingredients – saffron and glucomannan root powder – have been said to contain antidepressant and anti-anxiety properties. When taken, they may be able to suppress your appetite, but there’s very little research to prove these claims. With that, I need to highlight that taking Arbonne Evolution may or may not actually work. In fact, the formula might simply have a placebo effect on its users. So I really can’t recommend it even without comparing it to any other weight loss management solution. If you’re in the market for an affordable, effective protein powder and you’re stuck between Isapro and Arbonne Essential Protein Powder, I’m going to go ahead and tell you that Arbonne will give you greater value for your money. Their formula is beefier across the board, providing you ample nutritional value to help fuel your gym goals. If you’re hoping to lose a few extra pounds though, I suggest you choose the Isalean shake. The formula has won my vote time and time again for its effective ingredient combination that effectively curbs hunger. So, don’t let that steep calorie count fool you – the Isalean shake can work wonders. This is especially true if you know how all those macros come into play. Well written thorough easy interesting read! You are fabulous! I’m confused. Would one take the protein powder separately? I don’t get the difference between the ‘shake’ and the protein powder. Instead of ordering one program, perhaps it’s best to order a little from each? I agree with Tracy. If you can compare to their other protein powders I’d like to see if Arbonne is still better. Thank you though for this article. confusing, on one hand you said the Arbonne protein shake had a better nutritional value because of the amount of vitamins etc but then you said that the Isalean shake is better for weight loss because of the macro nutrients in it that curb hunger. 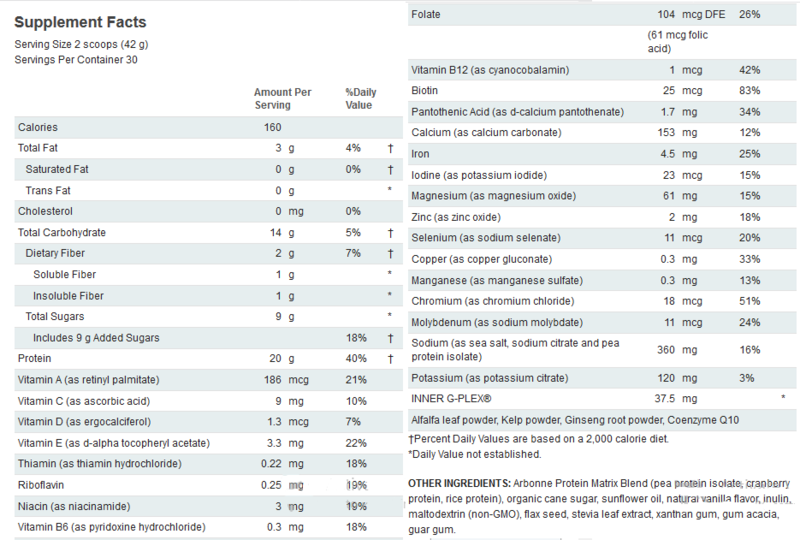 So what are these macro nutrients that Arbonne doesn’t have? great unbiased information. I have used Isagenix products and loved them. It’s good to read about arbonne products too and the differences, pros/cons between the two in a way that is easy to understand. IT Seems to me you aren’t comparing apples to apples here. 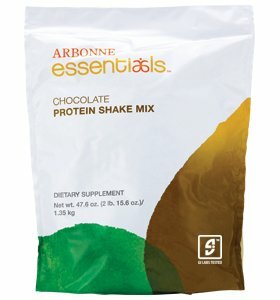 The correct should be the Isalean shake to the Arbonne essentials shake-240 Cals vs 160. Although I don’t see how they can claim 160 cals is enough to be considered a meal. Great article tho. I’m deciding now whether to go back is Isa or use Arbonne. Agreee with this comment… The shakes were compared incorreclty to each other. IsaPro is just protien not a meal replacement, while IsaLean is a meal replacement yet in the article IsaPro was compared to Arbonned meal replacment and Isalean to their protien. Great read! Thank you for sharing. I’ve tried both products and prefer the Arbonne shakes. I feel they taste better and also keep you full. I also don’t like the multitude of tablets that you have to take on the Isogenix program. I lost similar amounts on both programs, although Arbonne is more about “clean eating” – which I didn’t know at first, but then thoroughly enjoyed! The article is s bit confusing. You need to do your research about the Isagenix system. You can’t just compare shakes. Isagenix is a whole system including intermittent fasting and cleansing. Isagenix are the experts in health and wellness since 2002. They specialise in the products. Arbonne are a make up company that have added shakes to get into the market. 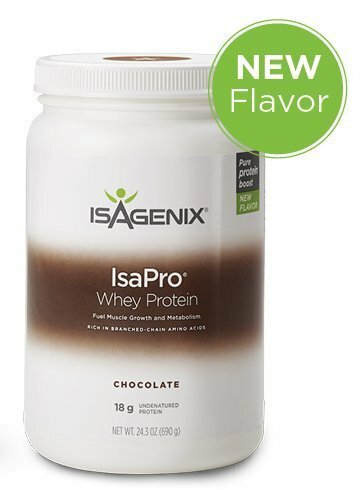 By the ‘whey’, the whey protein is undenatured which keeps all of the goodness in the shake with Isagenix.